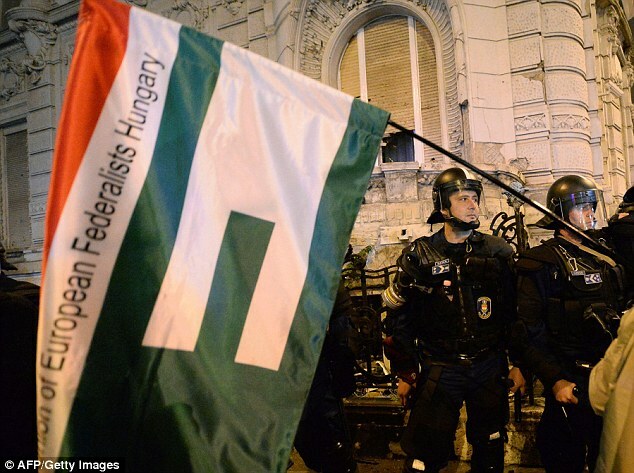 Hungary today scrapped a planned tax on internet data transfers after protests by tens of thousands of demonstrators over the last week. A draft tax bill sparked anger across the country after including a provision for Internet providers to pay a tax of 150 forints (40 pence) per gigabyte of data traffic. 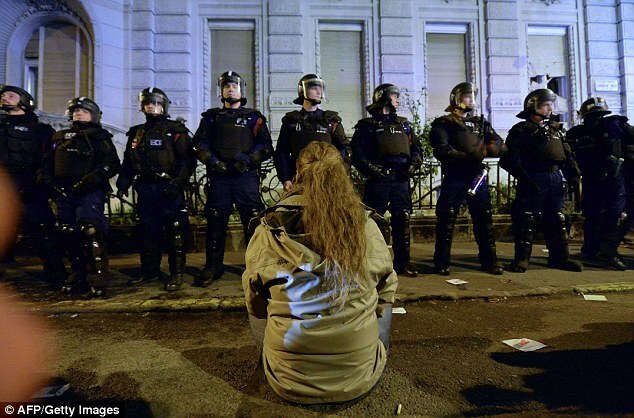 Critics said the law would not only increase the tax burden but also curb fundamental democratic rights and freedoms. But Prime Minister Viktor Orban, who has been widely accused of adopting anti-democratic policies, today shelved the proposals because 'people have questioned the rationality' of the measure. He said the government will hold a national consultation from mid-January about regulating and taxing the Internet and reconsider the matter next year. Mr Orban also said Hungary would stick to its plan to offer broadband Internet access to every household by 2020. 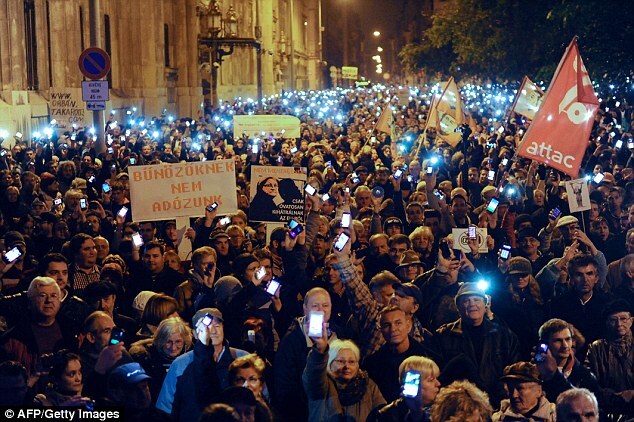 The volte-face came after tens of thousands of Hungarians took to the streets of Budapest over the last week in protest at the new law. Mr Orban's government first unveiled plans for the new tax last week in the draft 2015 tax bill submitted to parliament, though it would allow companies to offset corporate income tax against the new levy. One rally on Sunday was organised by a Facebook group which has over 210,000 supporters. 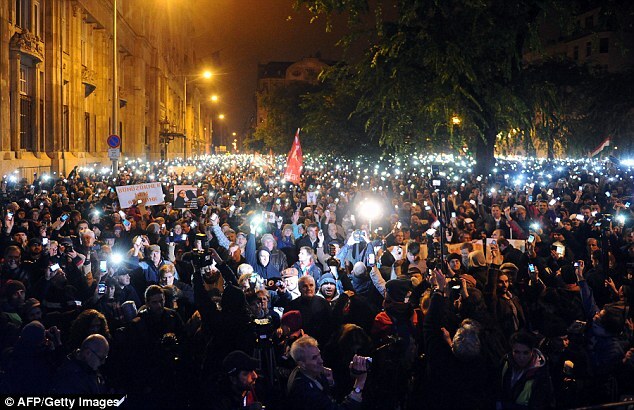 The organisers of '100,000 against the Internettax' said in a press release: 'The move... follows a wave of alarming anti-democratic measures by Orban that is pushing Hungary even further adrift from Europe. 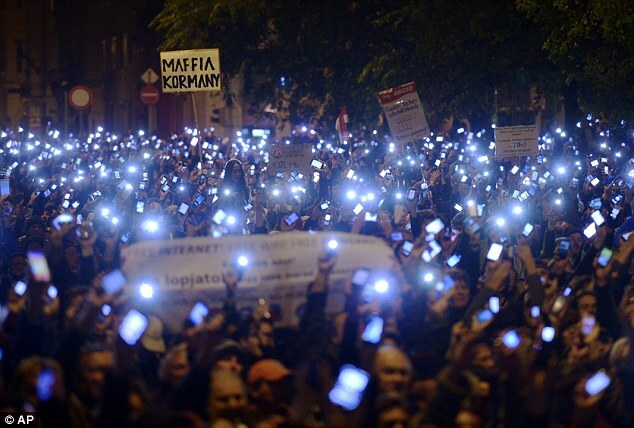 'The measure would impede equal access to the internet, deepening the digital divide between Hungary's lower economic groups, and limiting internet access for cash-poor schools and universities,' they added. 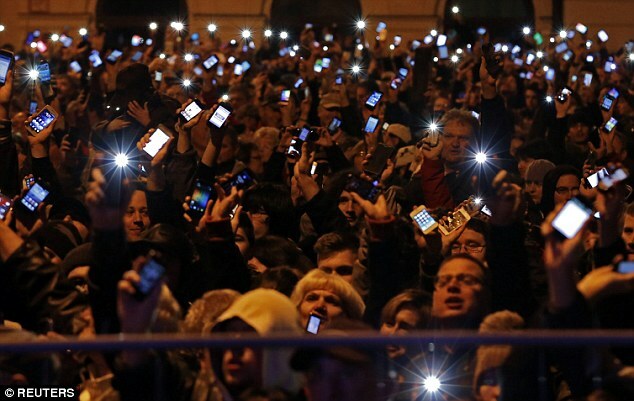 At one point, protesters held up their mobile phones, lighting up the square in front of the ministry. Then they walked to the city's historic Heroes Square. 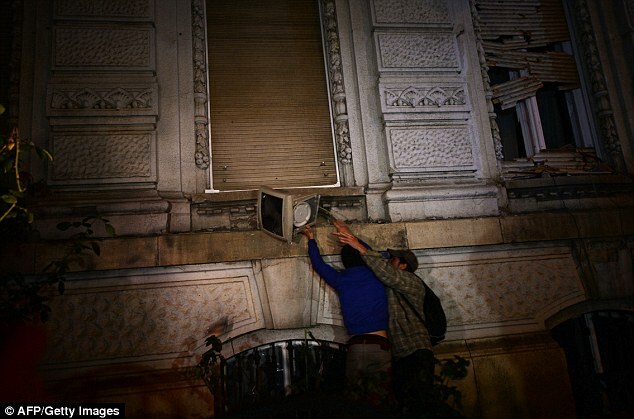 Some of them also went to the nearby headquarters of the ruling Fidesz party and threw outdated computer parts at the building, breaking some windows, local Internet website Index.hu reported. Fidesz said in a statement on Sunday that on Monday it would submit an amendment to the legislation in parliament, which would set a maximum level on the tax payable by individuals. It said monthly payments would be capped at 700 forints and internet providers would pay the tax. 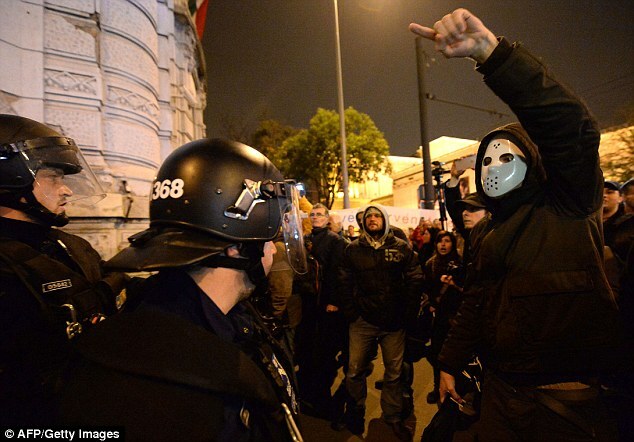 But some protesters said the new tax was an epitome of the government's mistaken economic policies. 'This would be a double tax on us, as I have already paid a sky-high VAT when I bought the gadgets, computer and router,' said Attila Sos, 43, who came to the protest with his family. 'The Internet connects people and it should not be limited,' said Krisztina Nagy, 21, who wants to be a Web programmer, and fears that companies would push the costs of the new tax onto customers. Orban's government has in recent years imposed special taxes on the banking, retail and energy sectors as well as on telecommunications providers to keep the budget deficit in check, jeopardising profits in some sectors of the economy and unnerving international investors.